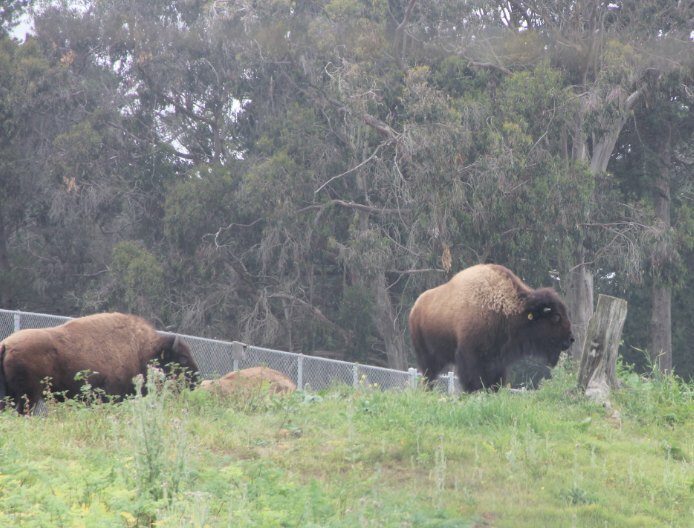 There are bison in Golden Gate Park in San Francisco. A little more than 100 years ago, 30-60 million bison roamed the Great Plains of America, and a few were installed in San Francisco as some kind of trophy. But then the bison on the Great Plains were hunted almost to extinction. Controlled calving from the small herd in Golden Gate Park helped perk up the numbers. Then some more bison were given to the mayor by her husband as an anniversary present (note to Ian: bison don’t do it for me as a present. Disco balls are much better). I wonder if the bison would have a better time if they were wandering the Great Plains again, or if this lot enjoys captivity. Anyway, there are strange signs on the fence surrounding the bison paddock. These signs raise so many questions. Is it possible that the park rangers are stupid enough to put the idea of intoxicating bison into people’s head? Or are the signs there out of necessity because some idiots have already tried intoxicating them? 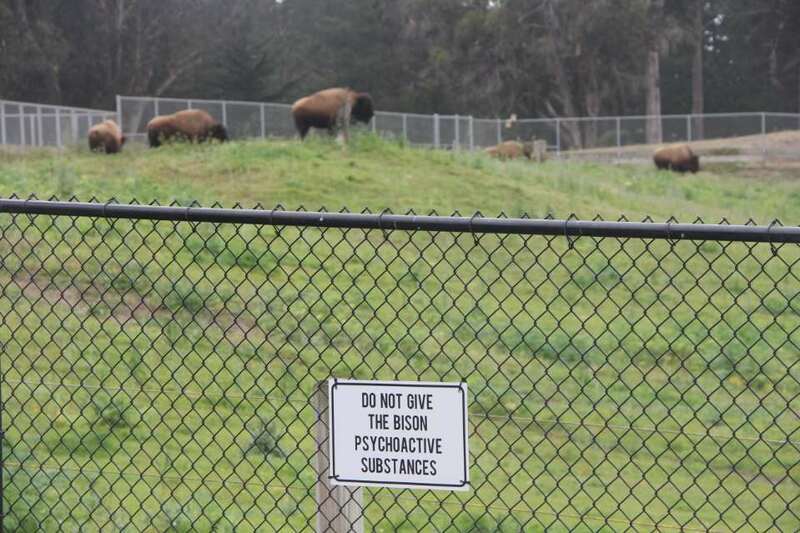 And how do you feed psychoactive substances to bison? I can understand how they might eat weed, since they’re herbivores (though weed would surely smell weird to them? ), but could they be persuaded to take LSD? And how would you deliver it? On an outstretched palm? And what does a six-foot, one-ton bison on psychoactive substances look like? sounds like another “Bison’ you and I used to hang out with many moons ago….. I forgot all about Bison while writing about bison.